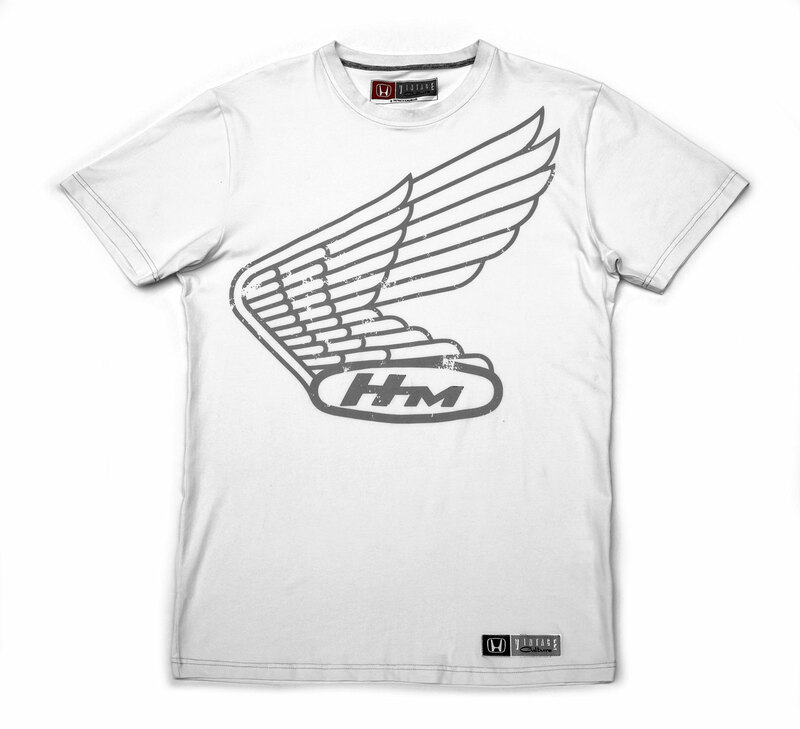 Honda Vintage Culture Honda Wing Vintage Tee HBT-02 - King Motorsports Unlimited, Inc.
Semi-fitted lightweight tee, tailored to our specifications with a woven label and multi-colored branding. Made from a special blend of cotton and spandex for a soft, comfortable fit. Water-based graphic is lightweight and smooth to the touch. The Honda wing logo dates back to the very beginning of Honda in 1948. It was inspired by Nike, the winged Greek goddess of victory. Soichiro Honda tailored these “victory wings” to meet the needs of his fledgling motorcycle brand and his own winning ambitions. Honda’s wings evolved quickly with many variations over the ensuing 20 years. An evolution of the wing is still used today as the logo mark for Honda Motorcycles. Through the late 1960’s, the Honda wings were linked to all of its products as well as the motorcycle and grand prix the racing programs.